The history of Rock 'n' Roll is a dense and sprawling family tree. It's tough to draw a perfectly straight line from its birth to what we recognize as popular music today, but that history runs parallel to our own. 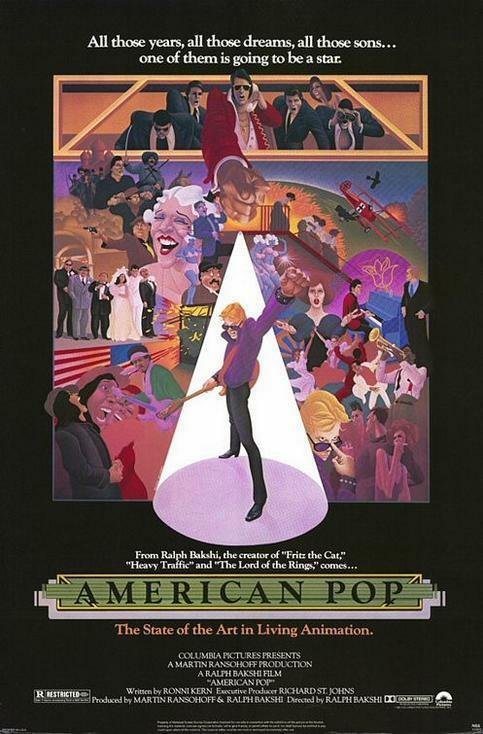 The soundtrack of our lives is always playing and with American Pop, that's exactly how visionary director Ralph Bakshi chose to tell a life story across four generations - through the music that scored it. Pulling from his own record collection and influenced by personal encounters, Bakshi and his team created an all-but real family tree of their own. Beginning in Imperial Russia and ending in late-seventies New York City, the "Belinsky" family is brought to life through rotoscoping (the art of animating over live performance) along with water-colors, abstracts and archival footage to create an audio/visual trip unlike your average cartoon fare. So bring your spouse, the kids and even grandma out for a laugh, a gasp, perhaps a sob and of course, a song. This is a story with which we can all sing along.